As we come to the end of another busy half term, I would like to wish you all a restful break. Students are back in school on Monday 20th February 2017. Mrs Lynch and Mr Haring were delighted to offer the Year 10 art and photography students the opportunity to take part in the annual Student Art Show at Exeter College. 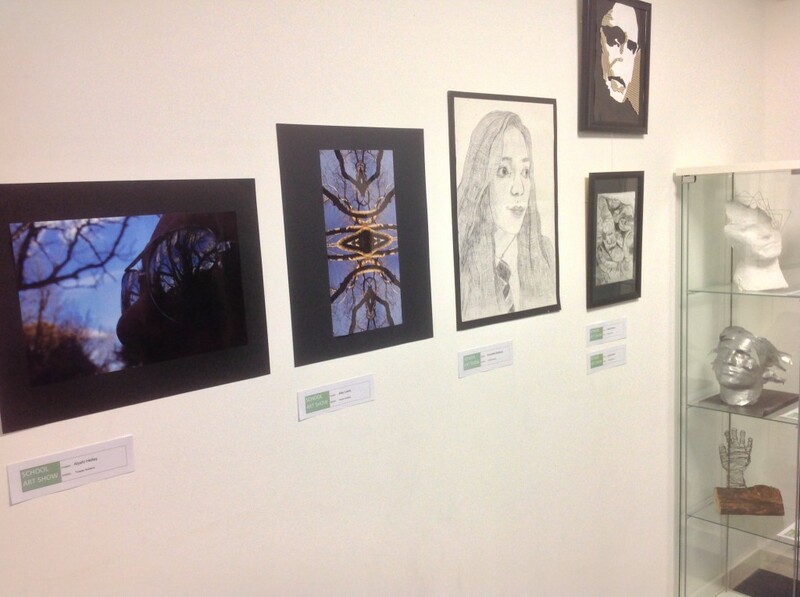 10 students took part in the exhibition, showing a range of art and photography themes and mixed media approaches. 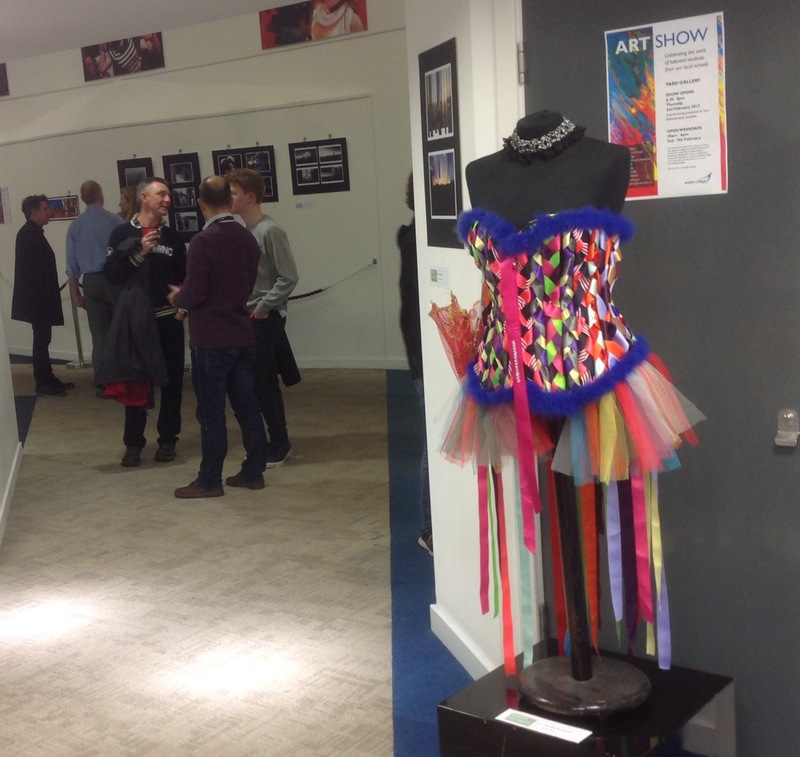 Drawing, collage, photography and textiles were among the work that was selected to go on show. Hannah Field was lucky enough to win a prize for her outstanding photography, which shows not only excellent technical ability but also superb creativity. 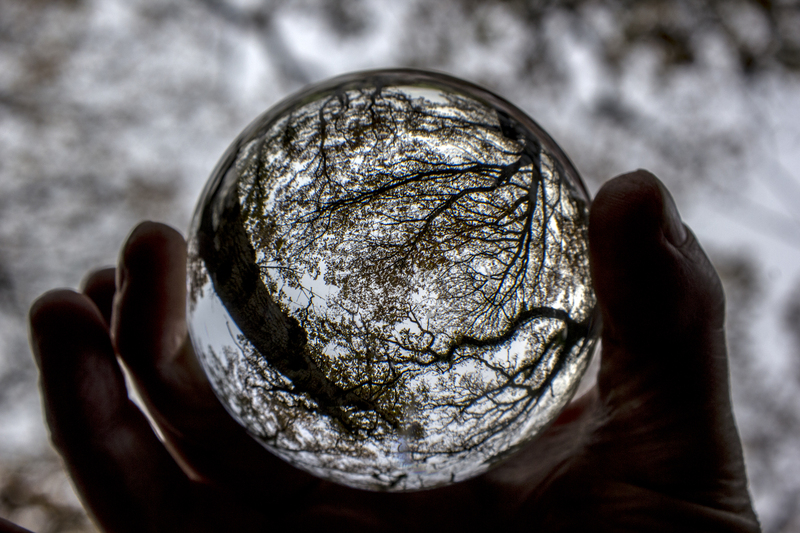 The exhibition is at The Yard Gallery, Exeter College and runs until the 10th of February. 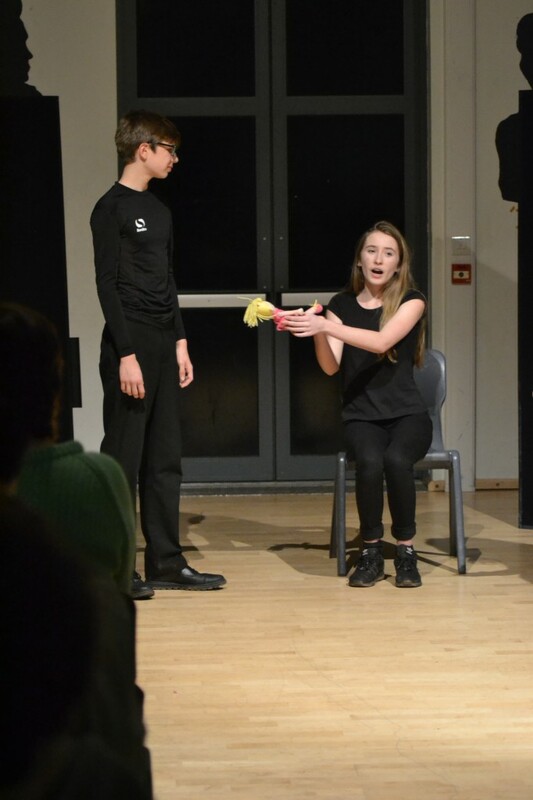 The Year 9 Drama students took part in a Drama showcase on the Thursday before half term. It was a fantastic evening for all the students who took part, and has provided them with an invaluable experience that will serve them well in their examined performances in Years 10 and 11. For many this was their first time performing in front of an invited audience, so nerves were running high! 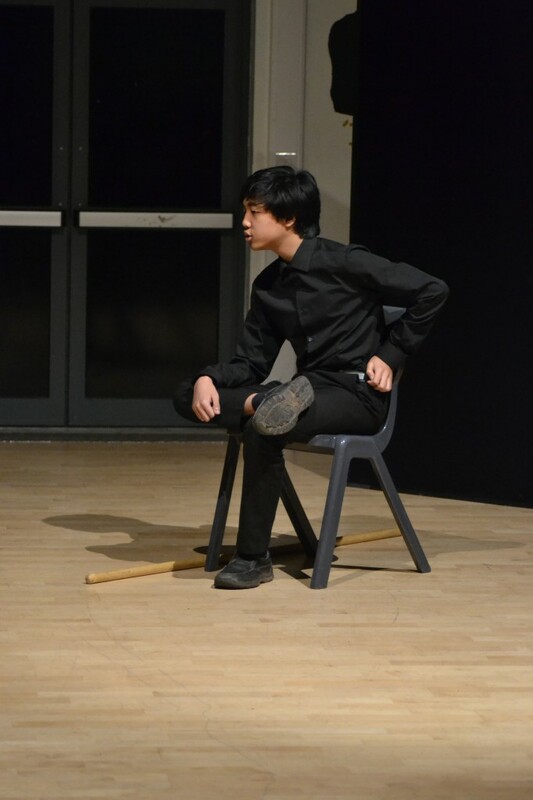 The students channeled that nervous energy into their performances however and produced performances that were insightful, nuanced and compelling. 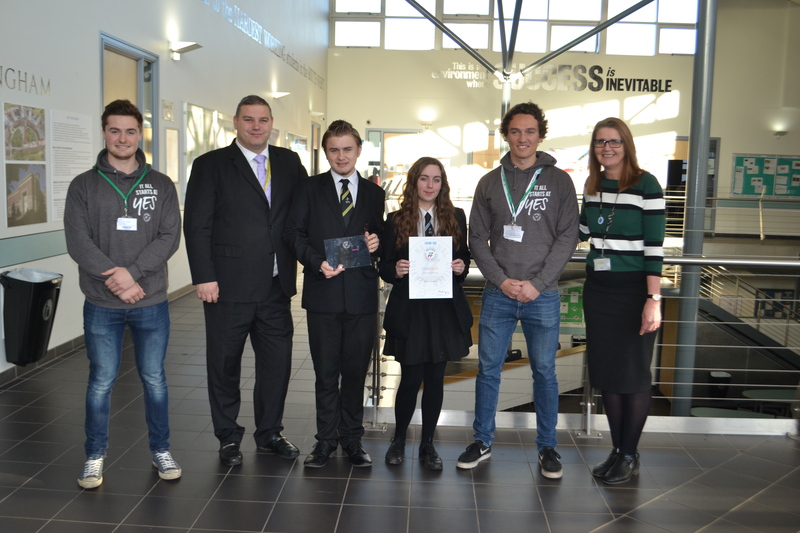 Pictured are Sam Daymond and Ollie Bolwell from NCS presenting Leah Mitchell (Year 13) and Brandon Bridge (Year 12) with the award and certificate, with Mrs Hadden and myself. 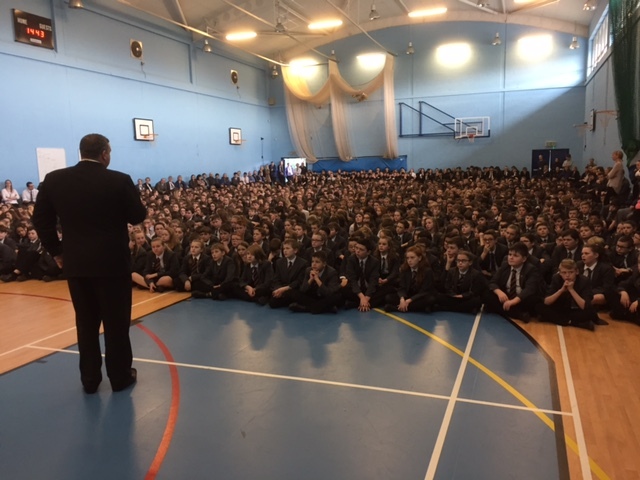 On Tuesday this week, representatives from the NCS (National Citizen Service) were invited to speak to all the Year 11s during their weekly assembly. “NCS is a part-residential experience focused around fun and discovery, with 30 hours committed to a local community project”. Students have the chance to meet lots of new people, and improve their transferable skills, whilst at the same time having a lot of fun! The Year 11s seemed very interested in the opportunity on offer and, as a result, 60 of them signed the interest slips. We were then, delighted to be awarded a Champion School Plaque and Certificate for 2015/2016. Torquay Academy was particularly noted for “allowing NCS to present to students at assemblies or other year group events, and for supporting students with any concerns or worries”. 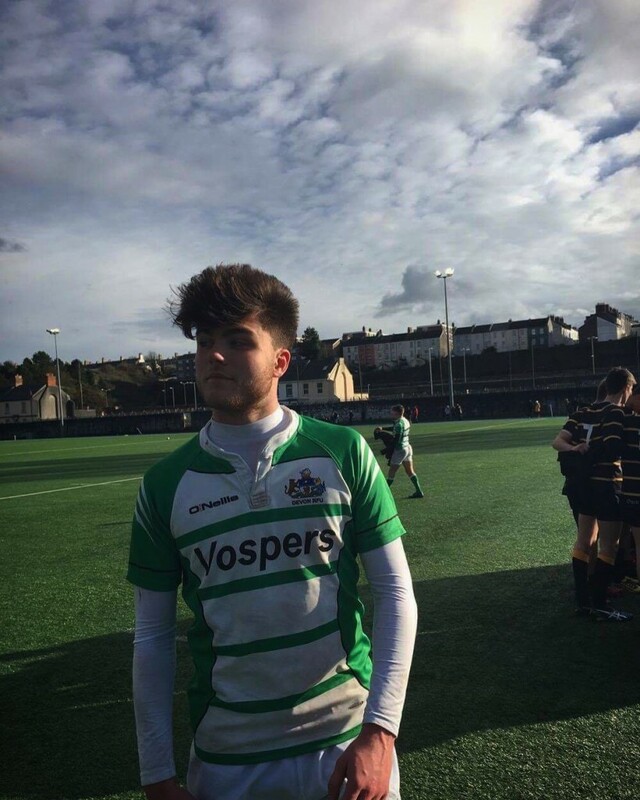 Jacob Brady travelled to Plymouth last weekend to represent the Under 16s Devon rugby team playing against Cornwall. They won the game 29 – 15 with Jake scoring a try. 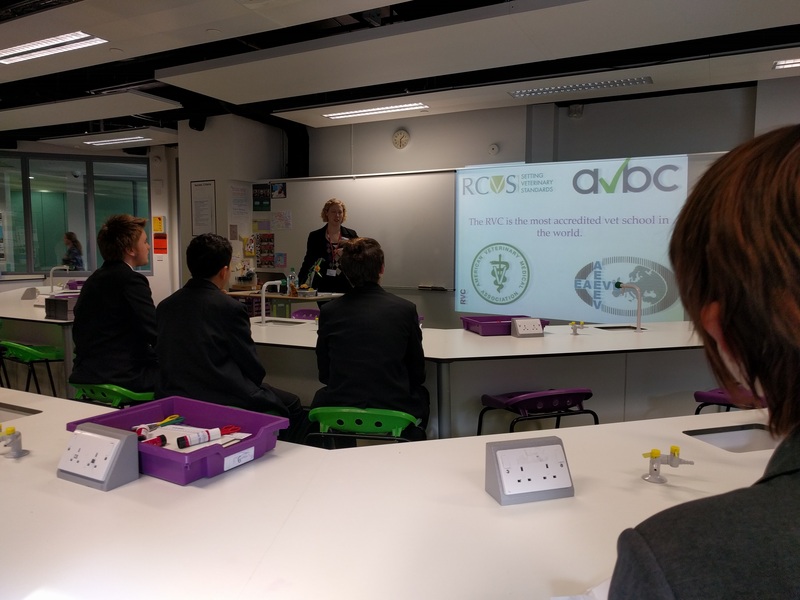 We were very pleased to host a visit from the Royal Veterinary College this week. 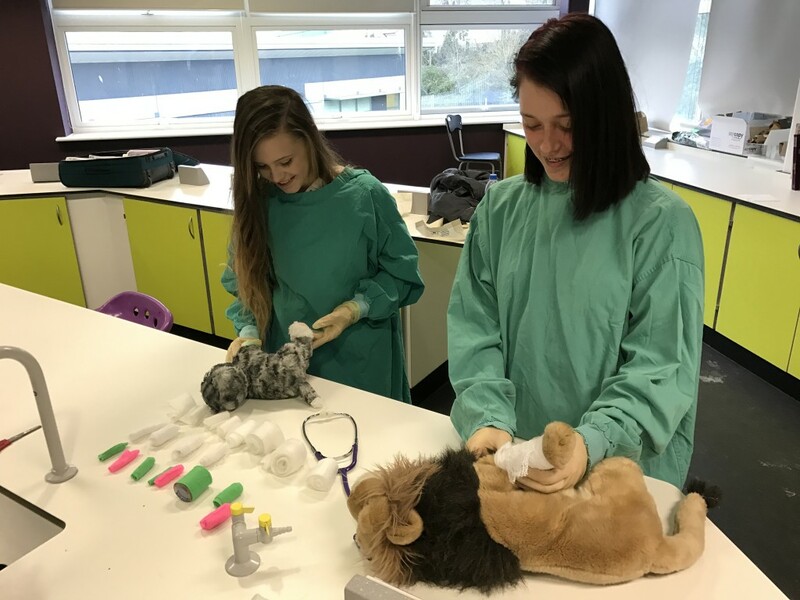 They ran two different sessions – one for year 11 and 12 about university applications, and one for year 9 and 10 about hands-on veterinary skills. The university application workshop was extremely informative for our students about the work experience required and the interview process. It gave some interesting facts about the history of the Royal Veterinary College and the careers that can follow a veterinary degree in many countries of the world. The students said they found it very helpful and that it enabled them to understand the expectations and the process of applying to a prestigious university. The hands-on workshop involved learning how to apply bandages to animals’ limbs (we used fluffy toys!) and how to put on gloves and gowns for surgical procedures. This was more complicated than it sounds – there are important hygiene rules that have to be followed. For example, you are not allowed to touch the outside of the gloves while putting them on, which makes it quite tricky. 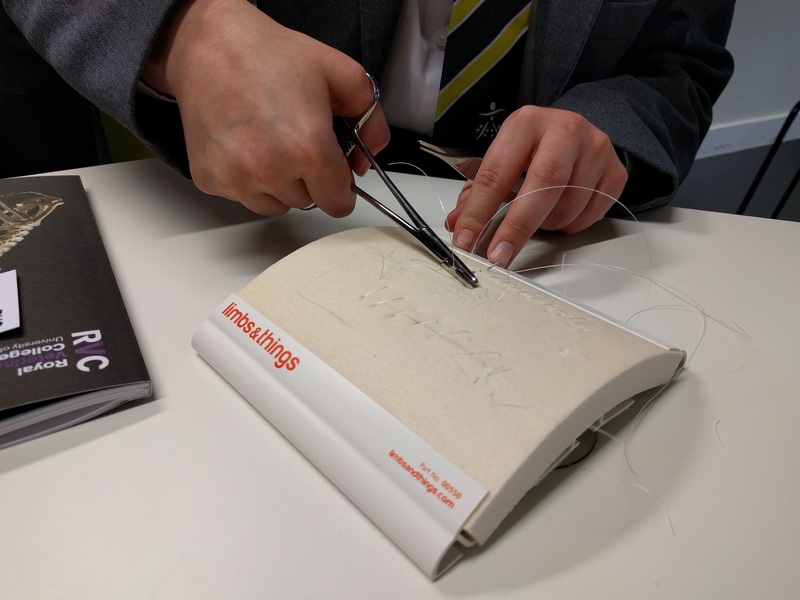 Our boys and girls also learned how to suture a wound – that is, how to sew it up after an operation. This takes real skill but I was very impressed at how good they were after just a few minutes’ practice! We had a very successful charity coffee morning on Thursday. 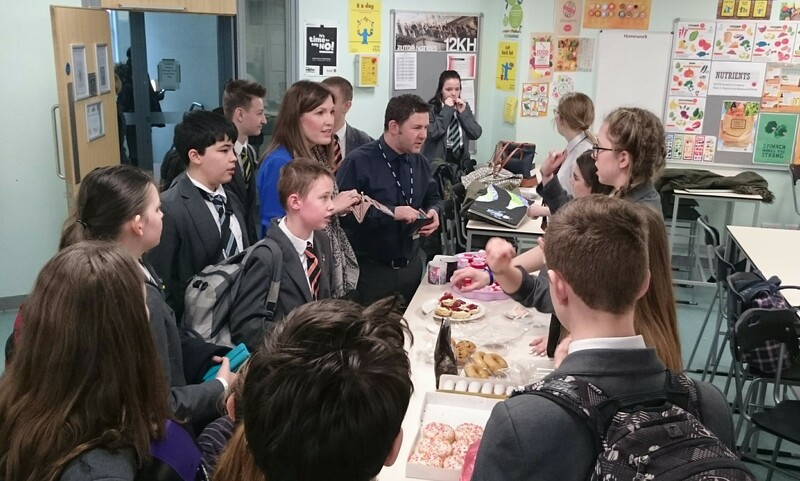 We raised just over £85.00 for our local charities so a big thank you to all the staff and students who supported our doughnut and scone break time treat. I would like to say a well done to the charity ambassadors and our Sixth Form students who worked tirelessly to ensure all was purchased and enjoyed. 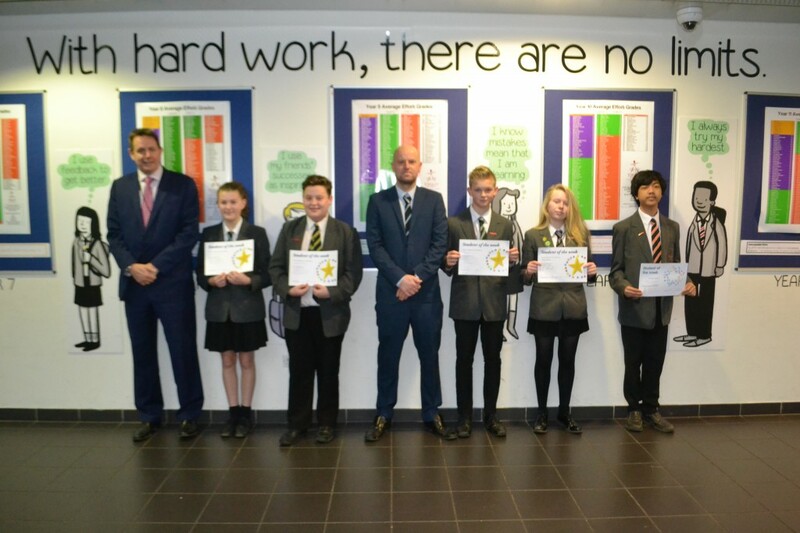 Students this week with Mr Pugh and Mr Withers are : Molly Carter, Kieran Parker, Harry Denby, Alisha Norcott and Danny Wooldridge. Bringing the whole school community together at the end of a half term is one of our TA rituals. I was able to congratulate our students on all of the work they have done so far this year and challenge them to climb the mountain to achieve their goals.